Covenant Relationships: Do you have mother-in-law troubles? Some years ago, I met a Christian woman who was happy that she was getting married to a man whose mother was dead. 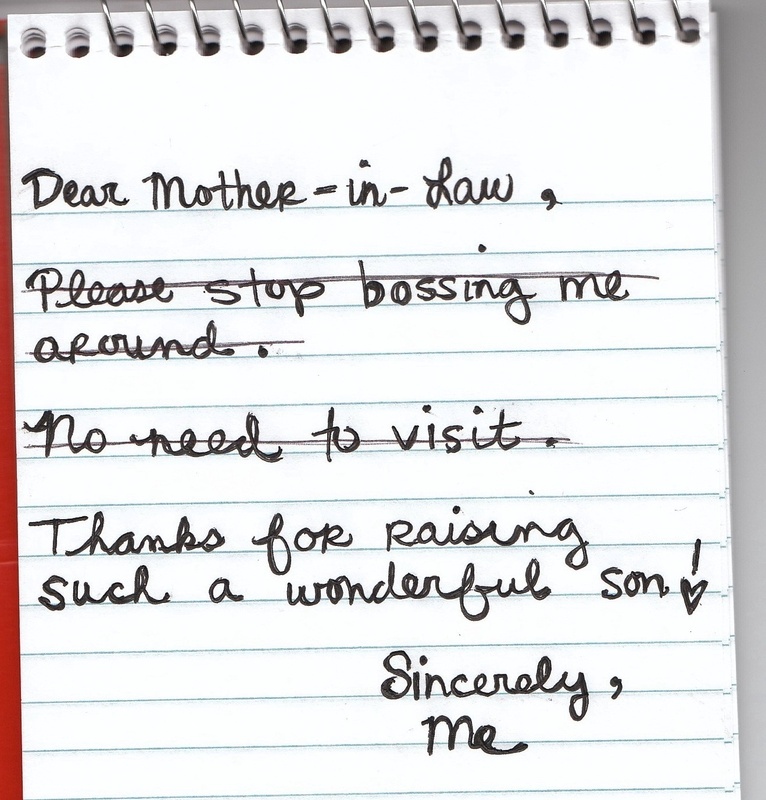 As far as she was concerned, mother-in-laws spelt trouble and she believed that if her fiancé’s mother was alive, she would interfere in her marriage. The mother-in-law/daughter-in-law relationship is one of the most interesting relationships in marriage and family life. These two people can be the best of friends or the worst of enemies. For the daughter-in-law, it could be like gaining a second mother or it could be entering a relationship filled with tension and jealousy. You, as the daughter-in-law, need to assess the reasons why you do not get along. You need to discuss with your husband and come up with possible solutions to this issue. Ask yourself some very hard questions. Do you see her as a threat to your home? Are you jealous of the control she still wields over your husband? Do you think she is jealous of you? Is your husband always trying to please her at your expense? Is she trying to raise your children her own way? Once you have found out what the true issues are, you need to pray about this. You need to extend the olive branch to her. You also need to let your husband define the roles of wife and mother to his mother. He needs to be able to talk to his mother since she is his mother. 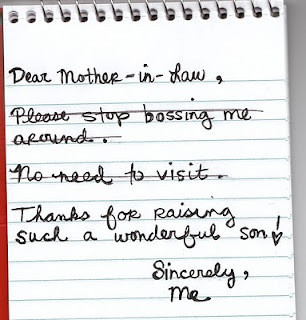 Now this is the approach to take if your husband is bold enough to talk to his mother and can enforce the new regime. If on the other hand your husband cannot stand up to his mother, you will need to take the matter to the Lord in prayer. You need to pray for your husband and your mother-in-law about the issue and be patient. Always show love. Do not constantly nag your husband about the situation or force him to try and take sides. Nothing is so important that it should come between the two of you. Try your best to present a united front and approach the situation in a direct manner. Keep in mind that someday you are going to be a mother-in-law yourself. Aspire to be the type of daughter-in-law that you hope to have someday. Since this is a forum for husbands and wives, I must address the husbands because husbands have a major role to play in this issue. Husbands, the Bible says that ‘Therefore shall a man leave his father and his mother, and shall cleave unto his wife: and they shall be one flesh’. This means that the husband should leave his mother. The umbilical cord should no longer connect a man and his mother when the man is married. As a Christian husband, you should protect your wife from unnecessary harassments; even from your mother. You know that your wife left the care of her parents and followed you under the assumption that you would take care of her and love her unconditionally. So take charge and inform your mother that your wife is your responsibility and you would defend her always. You are her knight in shining armour. Why is it that you have a long densely worded paragraph on what the woman should do and yet, the man who has a major responsibility in the entire situation just got a few nicely worded flowery words! Please!We are tired of being blamed for relationships gone wrong- each party should take responsibility and do the right thing. Men and husbands should stand up and take responsibility for order and mutual respect being established between the women in their lives. I think you should have started by addressing the guys before talking to the women. It seems that the article was perceived the wrong way. I guess I should have said more to the guys also. But I do agree with ur comments that husbands have a big role to play in this matter. Husbands, your wives will be treated the same way you portray your wives to your relatives. If you complain about her to them, they will never see any thing good in her. If you praise her, they will invariably be nice to her. That is the general principle. However, in cases where the norm is not the case, husbands to assert their authority and inform their relatives, including their mothers, that their wives are not to be treated shabbily, like just another acquisition. Husbands you have the responsibility of protecting your wives and setting the rules and regulations straight. you should not allow your mother to talk down on your wife.